Lavatories should be kept very clean. Even the part through which the water flows should be kept clean. Our lavatories bring our civilization into discredit; they violate the rules of hygiene. Probably the most damaging non-indigenous concept that we adopted unthinkingly is one of water-based sanitation systems. Both versions of “drop and store” and “flush and forget” sanitation systems have caused irreparable damage. Improper disposal of feces and wastewater has led to pollution of our waterbodies. Pathogens from the waste pollute our water and food and eventually pollute our own bodies. When 80% of the diseases in India are a result of improper sanitation, much more than one’s own health is affected. Specifically, 73 million working days are lost annually due to sicknesses caused by unsafe water and lack of sanitation. The economy of India as a whole is impacted since people must pay for visits to the health centre and on occasion lose their jobs because of an inability to go to work. So, is there a magic wand? The old man, we all know we are talking about MKG, would have wanted each one of us to use the magic wand! Had he lived few more years, the next contest he would have announced would have been on a toilet system. But of course, for the old man liberty meant universal responsibility! If you are a bit tired by now and are looking for some semblance of a technology solution, the good news is many attempts have been made and continue to be made to develop sustainable sanitation systems. The main objective of a sustainable sanitation system would be to protect and promote human health by providing a clean environment and breaking the cycle of disease. In order to be sustainable, a sanitation system has to not only be economically viable, socially acceptable, technically and institutionally appropriate, it should also protect the environment and conserve natural resources. Health and Hygiene:includes the risk of exposure to pathogens and hazardous substances that could affect public health at all points of the sanitation system from the toilet via the collection and treatment system to the point of reuse or disposal and downstream populations. This topic also covers aspects such as hygiene, nutrition and improvement of livelihood achieved by the application of a certain sanitation system, as well as downstream effects. Environment and Natural Resources:involves the required energy, water and other natural resources for construction, operation and maintenance of the system, as well as the potential emissions to the environment resulting from its use. It also includes the degree of recycling and reuse practiced and the effects of these (e.g. reusing wastewater; returning nutrients and organic material to agriculture), and the protection of other non-renewable resources, e.g. through the production of renewable energies (such as biogas). Technology and Operation:incorporates the functionality and the ease with which the entire system including the collection, transport, treatment and reuse and/or final disposal can be constructed, operated and monitored by the local community and/or the technical teams of the local utilities. Furthermore, the robustness of the system, its vulnerability towards power cuts, water shortages, floods, earthquakes etc. and the flexibility and adaptability of its technical elements to the existing infrastructure and to demographic and socio-economic developments are important aspects. Financial and Economic Issues:relate to the capacity of households and communities to pay for sanitation, including the construction, operation, maintenance and necessary reinvestments in the system. Besides the evaluation of these direct costs, the external costs and indirect benefits from recycled products (soil conditioner, fertiliser, energy and reclaimed water) have to be taken into account. External costs include environmental pollution and health hazards, while benefits include increased agricultural productivity and subsistence economy, employment creation, improved health and reduced environmental risks. Socio-cultural and institutional aspects:the criteria in this category refer to the socio-cultural acceptance and appropriateness of the system, convenience, system perceptions, gender issues and impacts on human dignity, the contribution to food security, compliance with the legal framework and stable and efficient institutional settings. The old man would have concurred with these principles. Ok! So, what kind of products at household level and systems at city level come about by using these principles? Well, let us begin with products. In different contexts, the products would be different. In the rural household context, there is the “urine diversion dry toilet” which opens up the possibility of treating pee and poo as resources! The yellow line output “pee” could be used as liquid fertilizer – rich as it is in nitrogen and phosphorous and the brown line output “poo” gets composted – so as to ensure pathogen destruction before being used as soil conditioner. Globally, India has the largest number of people, more than 620 million still defecating in the open. About half the population of India use toilets. 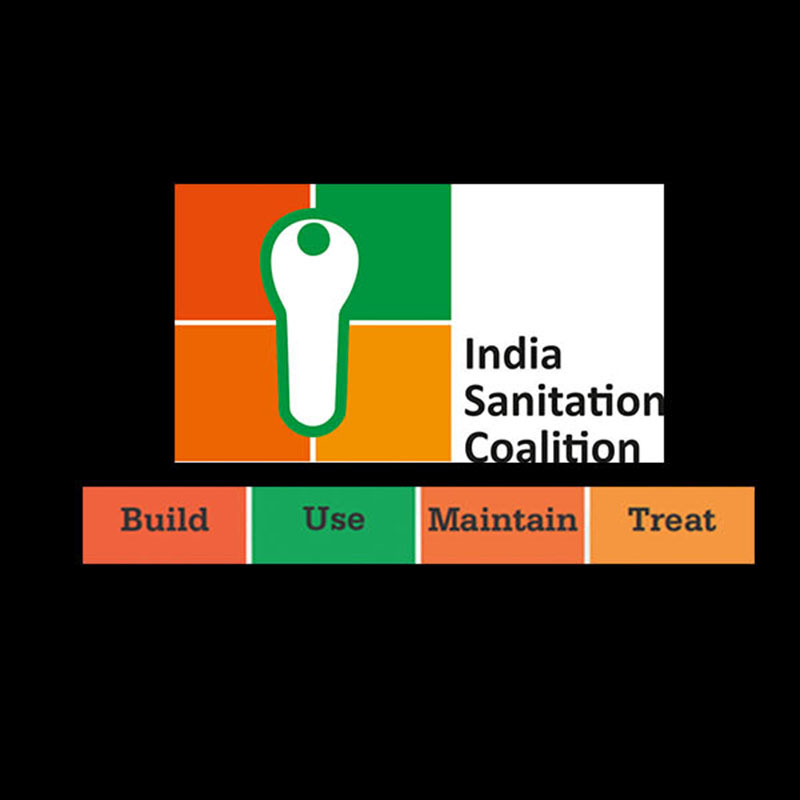 India, at the current rate of progress will only achieve the sanitation target of MDG 7–c in 2054. Applying sustainable sanitation at city scale, one begins to study nutrient cycles – Phosphorous and Nitrogen recycling. City scale sustainability requires adoption of closed loop approaches – in which the phosphorous and nitrogen which came from the farm and fish, through the food into our bodies, return to those very ecosystems. A global research coordination network by name Phosphorous RCN is researching into global P cycle to better understand P sustainability by recycling Phosphorous effectively and also by enhancing its use efficiency. What can you do to promote sustainable sanitation? You can join UNICEF’s digitally led campaign to campaign for open defecation free India “Take Poo to the Loo”. But why this campaign? Because, daily 620 million Indians are defecating in the open. That’s half the population dumping over 65 million kilos of poo out there every day. If this poo continues to be let loose on us, there will be no escaping the stench of life threatening infections, diseases and epidemics. Log on to the website www.poo2loo.com and take a pledge to campaign for eliminating open defecation. Also, if you want to know more about where sustainable sanitation has been successful all over the world, visit www.ecosanres.org or www.susana.org. If you would like to promote sustainable sanitation by installing product in your office or home, visit the webpage of IITD startup company www.ekamecosolutions.com or call CEO Uttam Banerjee on +91 9999807207. – Dr Vijayaraghavan M Chariar is an Associate Professor at the Centre for Rural Development and Technology, Indian Institute of Technology, Delhi. He is a joint Faculty at IIT Delhi’s National Resource Centre for Value Education in Engineering where he delivers courses and workshops on “Wisdom-based Leadership” for professionals and institutions. Dr Chariar’s research interests are Design for Sustainability, Traditional Knowledge Systems, Ecological Sanitation and Wisdom-based Leadership. He has been a mentor to several youth who have taken the path of social entrepreneurship. Dr Chariar serves as Chairman of the sanitation startup Ekam Eco Solutions. He was awarded the Fulbright Visiting Professorship 2012-13 as part of which he affiliated with the College of Technology and Innovation, Arizona State University, Mesa, Arizona. Dr Chariar is a sought after speaker on entrepreneurship, innovation and sustainability. He has several publications and patents to his credit. This entry was posted in Uncategorized and tagged Eco Solutions, Ekam Eco Solutions, entrepreneurship, IIT, IIT Delhi, india, innovation, Mahatma Gandhi, My Clean India, poo 2 loo, rural development, sanitation, sustainability, sustainable sanitation, Swachh, swachh bharat, Technology, toilet, unicef, urban.